The single most important skill for a Real Estate Agent is sales-ability. No matter where you are in your real estate career, decide right now to master the skills of selling in order to fuel your success. It’s hard to believe, but it’s true, that more than 95% of Agents lack top-level real estate sales skills. The reason I know this is because I coach some of the best and highest-earning Agents in the world, and even they believe their sales skills can use improvement. The difference between them and other Agents is that they realize that sales skills are vital to success and they continuously seek excellence in this area. Develop sales skills to secure appointments. Develop sales skills to persuade expired and for-sale-by-owner listings to move their properties to your business. This lucrative and largely untouched field. 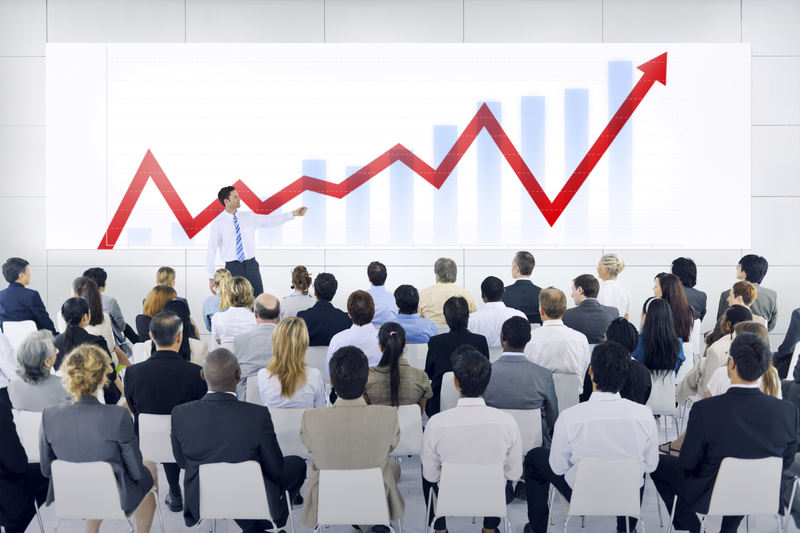 Develop sales skills to make persuasive presentations that result in positive buying decisions. You can do this in every step from pre-qualifying prospects to planning your presentation, perfecting your skills, addressing and overcoming objections, and ending with a logical and successful close. We are now no longer in the robust market conditions we had experienced in the 90s and early 2000s, where leads were abundant and relatively easy to attract, especially Buyer leads. So when the market slowed, as it inevitably would, real estate success becomes less automatic. Only great sales skills guarantee that you – instead of some other Agent – will win clients no matter the market conditions. The best Agents make more money in a challenging market than in a robust market. Regardless of economics, every market contains real estate buyers and sellers. No matter how slow the economy, people need or want to change homes. Babies are born. Managers get transferred. Couples get married. People divorce. And real estate opportunities arise for those with the best sales skills. The way to build immunity to shifting market conditions is to arm yourself with skills in prospecting, lead follow-up, presentations, objection handling, and closing. A little boy asks his mother as they are preparing a holiday meal why she cuts off the ends of the ham. She says, “I don’t know. My mother always did it this way.” Now this four-year-old boy said, “Let’s call Grandma right now and find out.” So they call Grandma and ask why she always cut the ends off the ham. Her reply: Her roaster was too small! It’s easy to design and deliver the wrong training solution because “we have always done it that way”. Successful training programs for sales force development are instructionally designed differently in today’s information and mobile agent age. Yet they still must utilize these 5 core principles for success. Any successful sales enhancement or skill building process is not an event. An event is defined as a one time or even multiple-time training opportunity but delivered in a short duration of time. The attendance live at a 3 consecutive day training program is still an event. This process immerses the learner in a volume of information beyond what can be retained. There is value to events from a motivational, community building, and best practices sharing. They fall short when the intended outcome is in skill development or sales force development. It’s the incorrect instructional design to create learning and new skill development and implementation. Incremental instructional design is where the learning is spaced out. 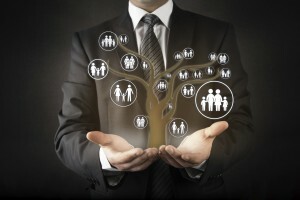 The salesperson has the opportunity to try strategies, techniques and new skills. Then come back with questions and feedback. If they encounter challenges it creates a vastly better salesperson in skill, strategy, mindset, and execution. The volume of information and skill is not delivered in a one day to multi-day consecutive brain dump event format. 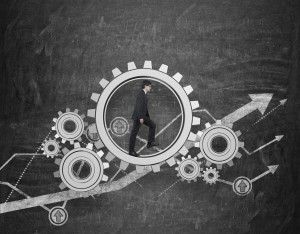 Training and skill improvement, especially in sales, must align with activities. Without activity as the basis for the training and improvement, we are creating professional learners. In a sales based business as real estate, we want to create professional doers. We want to create a culture of learning within our organizations. That learning must connect to action or new actions. Create specific activities for the salespeople to do? What’s the exact order of the steps so a system can be created? Were those activities aligned with the training? Do the agents understand the results to expect? How long does it take those results to be realized? What benefits will the salesperson receive from the activities? How will success be measured? These need to be set, taught, confirmed then evaluated for success to be ongoing. In the process of performance improvement, accountability is a buzz word. 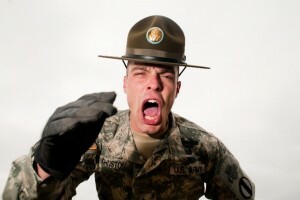 Most salespeople, when you say accountability, they get the mental image of a drill sergeant. Most people don’t actually respond favorably to that type of external motivation; with someone in their grill yelling at them to make another call or to get their sales up. They don’t seek out training opportunities where they might be exposed or embarrassed. In many of our live, virtual classroom programs, we create accountability models and systems. We are very clear in the 1st session how accountability is defined in an adult learning environment. We assure them that the drill sergeant model is not the right style for anything other than an 18-year-old going through basic training in the military. That doesn’t mean there is no accountability; far from it. Because we have done more than 5,000 training sessions in our live, virtual classroom (yes, you read that correctly. More than 5,000 in the last few years alone). We understand that when performance is measured, performance will improve. When you measure and report performance, performance will improve faster. Accountability is about reporting. The rejection to accountability in many salespeople is based on over-reporting; the requirement of too much tracking of numbers. One of the keys to accountability is to connect sales success in your company to less than a half dozen numbers at the introduction of accountability. When you go from zero tracking to 20 number tracking, you will lose most salespeople. They will reject all this extra work. They feel that tracking is a waste of time until you can tie in analyzing the ratios. The ability to teach them their repeating pattern of success is illuminating. The largest portion of salespeople work hardest for recognition. They want to be recognized as an elite top performer. They want their manager’s recognition, both in sales and service success. They want recognition when they complete training or acquire or demonstrate new skills. What are you doing to recognize all your agents’ contributions? Because of the more mobile enabled sales force in the last few years in real estate, a sales force meets less frequently in groups or one-on-one with their managers. The recognition opportunities have been reduced. Designing recognition opportunities pre, post, and during training programs is essential for motivation and retention of your sales force. Most people need a 5 to 1 ratio of positive recognition and feedback to negative or corrective feedback. 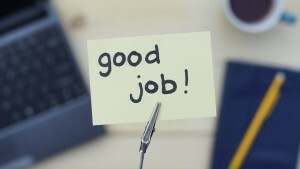 Are you giving recognition enough to your salespeople? 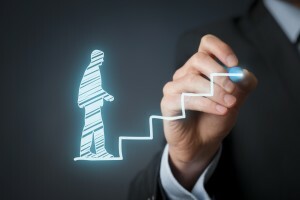 To increase self-worth and self-confidence in a salesperson, they have to feel a sense of accomplishment and completion. As a salesperson’s confidence goes up, their competence goes up in direct proportion. While we want a training culture or continuous improvement culture, we must design completion moments, stages, or levels in our training curriculum. When you are progressing through a university learning experience to achieve your degree, you take classes in a progression from 101, 201, 301, 401. At each completed course, or even section of courses, as the student you feel a sense of accomplishment because you have moved beyond the 201 courses to the 301 courses. With the right instructional design in courses and curriculum, your sales force will receive both recognition and a sense of completion. This outcome creates learning implementation and skill based momentum. 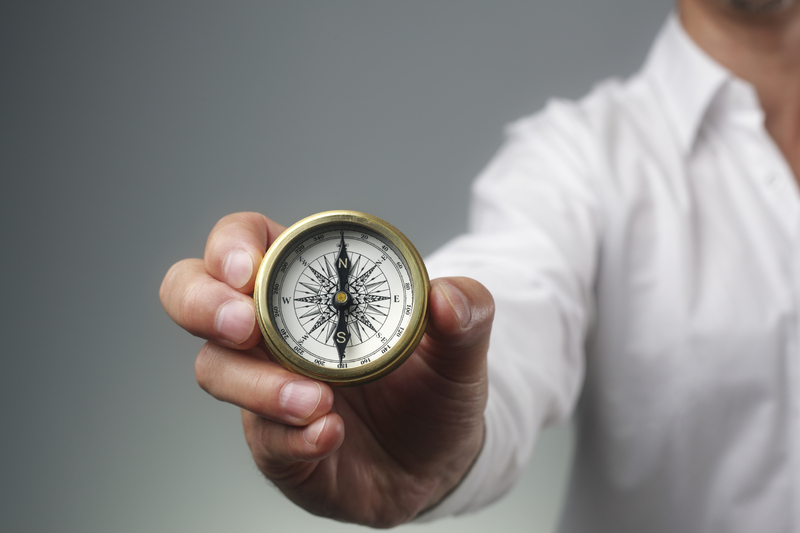 It fires up the desire for your salespeople to move on in their skill development journey. It refines skills in your agents far beyond what the typical motivational speaker, trainer, or subject matter expert (SME) can design or deliver. When a program incorporates these five elements, it moves the needle significantly in the sales force development area. Most companies lack the expert knowledge in instructional design to be able to incorporate all five in their training programs design phrase. Unless you incorporate the help of an outside expert, you might only be able to address one of these areas at a time. If that’s the case, then which of the five is first? Which is the largest bottle neck to improving your training systems, strategies, or methodologies? Create an order based on your newfound knowledge. Before you do another thing, rank these 1-5 for your company. Then what can you do this week to bring your #1 issue more in alignment? Success is in the progression or movement…its activity based. We need to create the incremental, activity based, accountability model. Where agents are rewarded with recognition and a sense of completion. At Real Estate Champions we’ve delivered over 5,000 sessions in our Live Virtual Training classrooms, and from that success we’ve developed a new system that excels in these 5 core areas. Sales professionals in the top 10% of their industries share a common trait: They control, use, and invest their time more wisely and effectively than their lower-performing associates. Among sales professionals, time usage determines income. 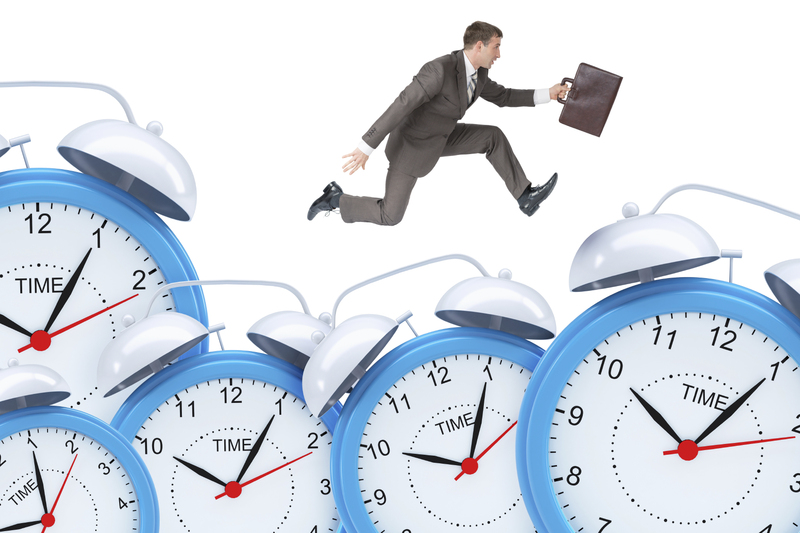 The most significant challenge for most sales professionals is time control. Through years of study and coaching sales professionals, I’ve compiled the following list of challenges that most sales people experience when trying to master their time-block schedule. Use an effective gatekeeper to screen your calls, redirecting all minor issues, problems, challenges, and interruptions that can be handled by an assistant or some other person. Limit the number of people who have unfiltered access to you. Create a short list of the important few people who can interrupt your schedule at any time of the day, and don’t let anyone else in during time blocked for interruption-free activities. My short list includes my wife, my father, my attorney, and a few key associates. Period. As you make your own list, include only those who are extremely important to your personal life. Very few clients find their way onto the short lists of truly successful people. See that the size of your work environment matches the size of your practice. If you don’t have enough square footage for yourself and your staff, your production will be stunted. I had a coaching client a few years back who worked out of 150 square feet of office space with three associates. Amazingly, even as they were tripping over each other they managed to do 150 transactions a year. But when they moved into a new 500 square-foot office, they watched their production soar. Each team member could control time better, limit interruptions, access files, hold meetings. The expanded space allowed for an increase in discipline, talent, skill, and production. Don’t let your physical space limit your growth opportunities. If you are crowded by your staff, you’re in the wrong physical location. Your personal office must be private. There are too many focused activities in a day for a top producing agent to be in the bullpen of activity. If you’re surrounded by the buzz of the staff, inbound phone calls, problems, and challenges, it’s too easy to be tempted to jump in and help, tackling the issues of servicing at the expense of new business creation. The only way to control your planning and prospecting environment is to locate your practice in a private office away from distractions, other agents and staff. Mistake #3: Failing to operate on an appointment-only basis. Too many Agents are willing to meet at all hours of the day and night and on a moment’s notice. By time blocking, you can create appointment slots and drive prospects into those slots, just as your doctor, dentist or attorney does. Studies show that 80% of all prospects are willing to fit into the schedules of their professional advisors. But when they aren’t alerted to a schedule, they take control on their own, dictating the appointment time and leaving an agent like you juggling your schedule to adapt to their needs. Realtors accept this knee-jerk scheduling approach as a necessary aspect of a “service oriented” business. As if total availability equals service. Operate as a professional on an appointment-only basis, with all appointments scheduled during time-blocked periods when you know you will be available, focused and uninterrupted by any issue other than the one your client is sharing. Mistake #4: Bowing to distractions. Real estate sales is among the most interrupted and distracted professions on the face of the planet. Realtors are distracted by the constant jangle of desk phones, home phones, and cell phones. If the phone isn’t ringing, you have the distraction of e-mail, usually interrupting you with some unsolicited miracle offer or, less often, with a new lead opportunity. Here’s a tip: Don’t derail your day just because your computer tells you that you’ve got mail. The conversion ratio of Internet leads is less than 1%. If you’re engaged in productive activities, don’t stop what you’re doing for a 1% opportunity. Block time in your day for the distractions you know you will encounter. If you want to socialize with other agents, plan a set time to do that. Just remember to keep it short and to limit the coffee klatch to the time you allocated for it. Create a list of no more than five people that are granted instant access during your workday. Have your assistant memorize the names. If you don’t have an assistant, then work with your receptionist so that only those few people are granted unfiltered access. Position yourself as an agent-in-command versus an agent-on-demand. Block your time and maintain your schedule. Rather than putting yourself at the beck and call of others during all hours of the day and night, work on an appointment basis, eliminate distractions, and take control of your days, your business, your income, and your life. Being able to build a Champion’s Business takes focus, skill, and determination. It takes the desire to move, change, test, adjust, and then change again. One of the ingredients that most Agents fail to execute is the ability to regularly pause. The ability to pause, evaluate, ponder, meditate, and clarify at regular intervals will move you from a good business to a Champion Business. The pause helps you learn and invest what you have learned into your future success account. Pause at the end of each day to reflect on what went right. If you had to rate the day one to ten, how would it rate? Why did you rate it there? What could have been improved on? What are you most proud of for the day? What are the priorities for tomorrow? I typically spend thirty minutes at the end of the day reviewing the day and learning from the day. Too often, we continue on daily without pausing, pondering, and evaluating, so we make the same or similar mistakes repeatedly over time . . . warning!! At the end of the week, take an hour to pause. A week is a pretty good chronicle of time that has gone by. Evaluate the prospecting numbers, leads generated, and appointments booked. What did you learn this week? What would you change? How should next week be approached? What priorities didn’t get accomplished that need to be moved to next week? How’s your energy level and reserve? How’s your attitude at the end of the week? If you have staff, evaluate their performance as well. Pause at the end of the month for two hours. Invest those two hours in your future wealth, growth, and happiness. Besides the previous questions for the day and the week evaluation, review your leads in your database. Did you miss calling anyone? Is there someone you should call earlier than scheduled? Too often, Agents call someone they have as a lead just after they have made a decision to commit to someone else, or they have bought and sold using someone else. By taking a few minutes to review the leads monthly, you will catch oversight that will cost you thousands. Even today, I review leads in our database quarterly and always catch opportunities about to be lost. My sales manager at Real Estate Champions is required to review calls and leads weekly and monthly. At the end of the month review your prospecting leads, appointments, and overall numbers for your business. You also want to review the numbers on your market trends report. We must already know where the marketplace is heading in real time, rather than reaction time. The break at the end of the quarter should be a half day to give you the opportunity to repeat all the steps I have given you thus far on a large, deeper, more focused time frame. When you get to the quarter evaluation, I really believe that it needs to be conducted off site. This time is of paramount importance and needs your full attention without the distractions of being in your office. If you feel you need to be in the office because of the availability of your data to analyze, then come in 4 hours before your normal day would begin, or stay in the evening and evaluate. Again, evaluating the marketplace for the quarter is an integral part of the quarter pause. The pause at six months should be around a full day. Six months is a significant amount of time. I know Agents who have been way behind initially, but caught up to their goal in the last six months through making the right adjustments. I know others who were way ahead of their goal, but they didn’t take the time to review and weren’t paying attention. They missed the mark on their one-year objectives. The pause at the end of the year should be from three days to a week. I personally prefer a week. The final week of the year has developed into my favorite week of the year. It is the time I hit the rewind button for the whole year and replay the tape. I immerse myself in questions and evaluation to guarantee the mistakes remain in the past and the victories flow into the future. I check my business plan, business vision, and values, systems, lead generation source, and conversion. I check my mental state and commitment level to my goals for the next year. This week isn’t to build a business plan for the next year. In fact, if you are doing that in this week, you are too late. Your business plan for the new year needs to be constructed no later than the end of October of the preceding year. To decide a week before the new year to build your business plan is too late. Take the above steps to execute pausing at regular intervals into your business. You will see how this exercise helps you move your business from a good business to a Champion’s Business. Being able to establish a business vision for your company separates you from the other agents who are in real estate. When building a team, you must pause and work to define your business vision. Enduring, successful people and successful companies establish their core values and core purpose. They then remain fixed on those core values and purpose throughout their business life. The changing elements are their business strategy and tactics due to the marketplace changes and competition influences. Successful people and companies know that it is critically important to know who you are and what you stand for. In many cases, knowing who you are, as a team, will be more important than where you are going. We all will change and adapt as our world changes and adapts. This change is inevitable. The only part about change that is in question is whether it will be evolution or revolution. Evolution is defined by Webster as: A process in which something passes by degrees to a different stage (especially a more advanced or mature stage). We want to engage in the small, gradual movement or change over a period of time. This type of change only comes from clarity of values and purpose. More effort, energy, and resources can be used to increase success, sales, and production in an evolutionary mode, rather than a revolutionary mode. Revolution is defined by Webster as: A drastic and far-reaching change in ways of thinking and behaving. The change in revolution is more violent, sudden, and potentially damaging. The vast majority of resources will be used to keep up with the revolution at hand or trying to get out of the revolutionary process. The stress level is significantly higher, and the probability of success is much lower in revolution. By having well-defined core values and core purpose, you can avoid the forces of revolution more effectively. There has been a prevailing thought for sometime on the value of mission statements. The thought is that you have to build a mission statement for your team. When I ask many experts why they have that view, their answers are less than stellar: “Because good companies have them”; “You just do”; “Your people need something to guide them.” There are a host of others that I have heard regularly. I have personally coached hundreds of the most successful agents in the last fifteen years. I always ask if they have a mission statement. When they say “oh yes”, I ask them what it is. The phone always goes dead silent. Then you have this rustling of papers as they try to find the document that has their mission statement on it. Once they can’t find it, they try to recite from memory some garbled version of it. I personally feel that mission statements have little value, and we should abolish their use. Most small business owners’ (like real estate agents) mission statements are treated as something you have to have or do, but you don’t know why you have to have it or do it. The most common practice of building a mission statement for small business owners is to scalp what they like from a large company, like Nordstrom if you have a service mentality or Nike if you like competition or Wal-Mart if you want to serve the ordinary or disadvantaged consumer. We aren’t building it from within our own views, tenets, and principles of excellence in life and business. For most, we are building the mission statement based on what sounds good, looks good on a brochure or marketing piece, or is made up of the components that another successful company articulates in their mission statement. My best advice is to scrap the whole exercise and start focusing on what you stand for. We can’t look for what we stand for in others. We have to discover it in ourselves. It is not outside in the world around you; it is in your inner world, in your mind and heart. In order for what you stand for to be authentic, you have to search for it. You aren’t asking yourself what you should stand for; you are asking yourself what you passionately stand for. Let me share with you an example of what I mean. At Real Estate Champions, we stand for hard work and continuous self-improvement. We believe passionately that the quest of self-improvement, both personally and professionally, is one of the noblest callings in life. I personally toil long hours weekly in the quest of self-improvement and building tools, training systems, scripts, materials, strategies, tactics, theories, coaching – the list is endless. I spend additional hours reading, writing, praying, and listening to podcasts to keep my personal development in high gear. I have other people on my team, as well, who contribute to this effort. There is no one in the real estate field who has produced more quality systems, tools, strategies, skill improvement, and business master systems in the last fifteen years than we have at Real Estate Champions. You can pick any name, speaker, trainer, or coach, and most are still selling the same material they were ten years ago! We have 15 distinctly different coaching programs, over fifty different training programs and audio CDs, DVD training, internet subscription-based training, and ten books written on sales success. We don’t do it because it’s good business; we create new intellectual property and deliver it in many different ways because it’s what we stand for. It is born out of my personal core values and beliefs. We passionately believe that we need to engage in our own journey of personal self-improvement to impact the world. Once we take on that challenge, we will be able to impact the world around us. There is a series of mistakes that prevent most salespeople from reaching the Champion level in their objection handling. In this article, I am going to address the most common mistakes that stunt a real estate agent’s progress. I have listened to countless agents’ presentations. Often, when the client begins to object, the agent will leap into objection handling mode too soon. Many don’t even wait to let the prospect finish their thought. They interrupt, which is certainly rude to the prospect. It can also cause frustration on the part of the prospect. It’s almost as if the agent is hoping to stuff the objection back into their mouth before they even get it out. We need to let he prospect express their view and concerns fully. There is a fine balance between guiding them to the truth of your advantage and the marketplace realities and arguing with the prospect. I know I have, at times, crossed the line into arguing. Almost every time I did, it cost me the transaction or listing. When you feel that you are beginning to be at odds with the prospect, you need to re-phrase everything into a question. It moves what might be considered verbal swordplay into a one-man-battle. The prospect will be using his sword against himself with the right questions. He will be the one getting cut. We need to shrink any financial objection down to the true size. If it’s a commission objection (when we want 6%, and the seller wants to pay 5%), we need to shrink it down to the 1% difference and not talk about the 6% and the 5% commission. If the seller wants to list at $450,000, and you know it needs to be priced at $399,000, you need to talk about $50,000. We need to use payment, interest rate, inventory levels, list price to sales price, and monthly or even daily cost. The smaller we can make the difference between where they want to be and what we think is necessary to achieve their goals and create a reasonable fee for us, the better. That is the key discussion. Once you have shrunk it down, you can then do a comparison close of the difference. Ask them, “If (the commission rate, initial list price, etc.) was the same between myself and Agent X, who would you select to represent your interests? So, if I would be willing to _______________ like Agent X, you will commit to working with me right now . . . correct?” We have to be able to define the reason and the size of the objection into the smallest differential between where we want to be and where the prospect wants to be. The most common error in objection handling is the usage of the word “but”. A “but” used in objection handling is the kiss of death. The “but” negates what you said up until that juncture. 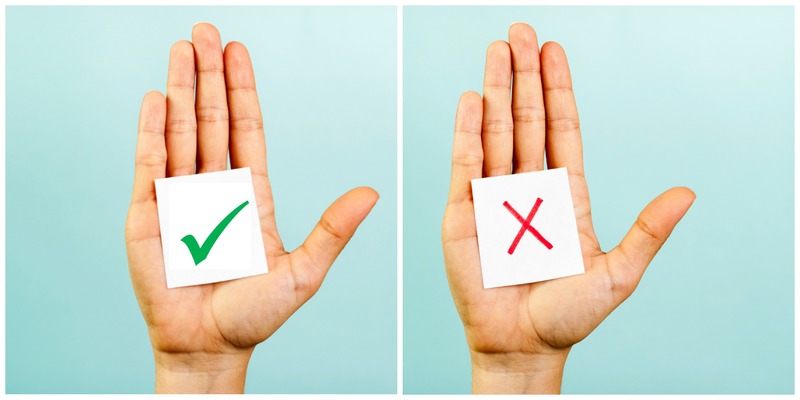 The “but” says, “I’d argue with you, but you are wrong.” One other caution is that many salespeople try to substitute “however” instead of “but”. The truth is “however” is really a dressed up “but”. It’s really a “but” with a bow tie on. Objection handling is really an offensive opportunity. It’s not a time to play defense. 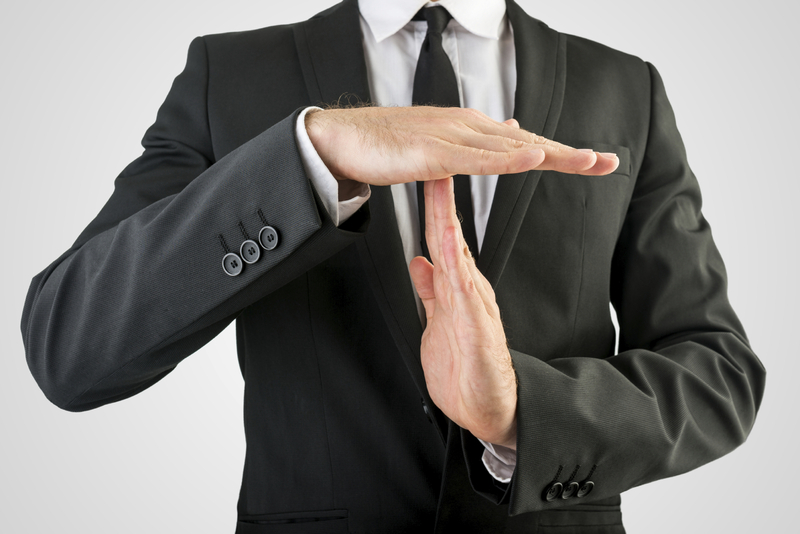 When you respond to an objection, the final part of the objection should be a question. You should respond to the objection and then ask for them to proceed forward. Even asking them if they have any other questions sets the stage for the close. You can use any question you want. You could ask them, “Shall we get started?” or “Do you want me to handle the sale for you?” or “Shall we do a broker open this week or next?” or “When can I bring the first buyer through?” There is an unending series of questions that can be asked. We have to get in the mindset that we are going to hear objections as a scoring opportunity. If you’re one of the many Real Estate Agents who think of open houses as a primary means to sell the home being shown – or if you judge success by the number of sales you generate as a result of your open houses – expect this article to redirect your thinking. Well-documented research shows that fewer than 5% of all buyers purchase a home they visited during an open house, a finding that proves the open house to be, at best, a pretty ineffective sales approach. Yet open houses remain an important tool in an Agent’s business arsenal for a very good reason. Open houses provide a terrific opportunity to generate prospects, and prospects are the lifeblood of real estate business success. So, what’s in it for the sellers? You’re probably asking yourself, but what’s in this open house thing for the seller? Why would homeowners agree to be booted out of their houses for the afternoon just so their Agent can throw open the doors in an effort to attract prospective new clients? And why would sellers care if their Agent generated new leads, anyway? While you may have these questions, sellers rarely, if ever, ask them. That’s because most sellers have no idea of the limited results that are likely to result from an Agent holding an open house in their home. In fact, if you survey most sellers you’ll learn that they desperately want their Agent to hold an open house. They hold fast to the belief that an open house might sell their home. And the odds are that one out of every 20 times, it will. And it seems that every seller knows someone whose home was one of those few open house sales success stories. They apply that one owner’s experience as the rule rather than the exception. As a result, they want an open house, ASAP. 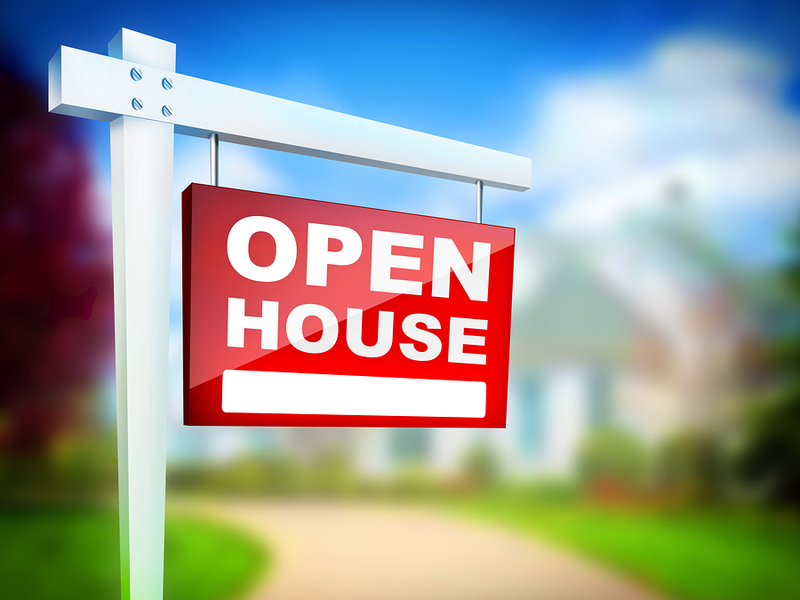 To sellers, an open house is a tangible way to see Agents doing something to earn their fees. The selling of real property is a mystery to most people. They can easily understand an open house. It is not part of the behind-the-scenes magic that an Agent performs to get the home sold. An open house attendee may share her home-buying interests with the hosting Agent, who proceeds to sell her a home featured at an open house a week ago. A couple attending an open house may find that the featured home isn’t right for them but that it matches the wish list of some good friends, who end up making a purchase offer. What’s more, an open house prompts the owners to get their home ready for prime-time showing, and that alone makes it worthwhile for all involved parties. Whether the home sells as a result of the open house (as only few do) or afterwards, the effort provides a worthwhile dry run for all the showings that will follow. Sign Up For Our FREE, Weekly Newsletter! To get instant access to the Coaches Corner™ Newsletter and your free bonuses, fill out the form below. 5 NW Hawthorne Ave. Suite 200. Established in 1998, Real Estate Champions, Inc. set a bold goal for the company to focus on creating Champion Performers through Real Estate Training and Coaching. Our goal isn’t to Coach Agents to become proficient enough to earn an income in real estate sales. It isn’t even to coach Agents to become top producers. Our goal is to create Champion Producers that enjoy a balanced life; achieving excellence while enjoying the fruits of their labor as well. Our company’s mission is “To teach and inspire people (Real Estate Agents) to use their God given talents to achieve excellence in life”; to help you rise to the Champion Level in your Real Estate Business and life. Copyright 2015 Real Estate Champions, Inc.